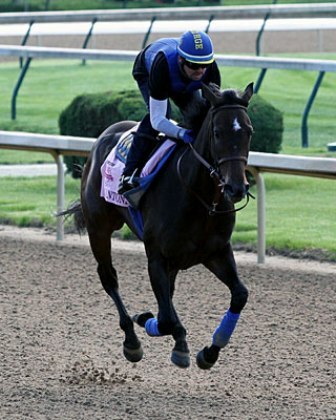 One day prior to the Kentucky Oaks (gr. I), Ron Paolucci, co-owner of Ria Antonia, sat handicapping the May 1 Churchill Downs card with his wife and a dozen of his closest friends in the track's Win-Place-Show room. Paolucci, who races Ria Antonia in the name Loooch Racing with Christopher Dunn, had already seen his filly gallop over the Louisville oval and had a hearty breakfast at the iconic Wagner's Pharmacy. All that was left to do was enjoy the next 24 hours before his filly faced the biggest test of her career. In spite of the looming race, Paolucci radiated with confidence rather than nervous energy. Proudly wearing his purple Breeders' Cup jacket as a remembrance of Ria Antonia's victorious run in last year's BC Juvenile Fillies (gr. 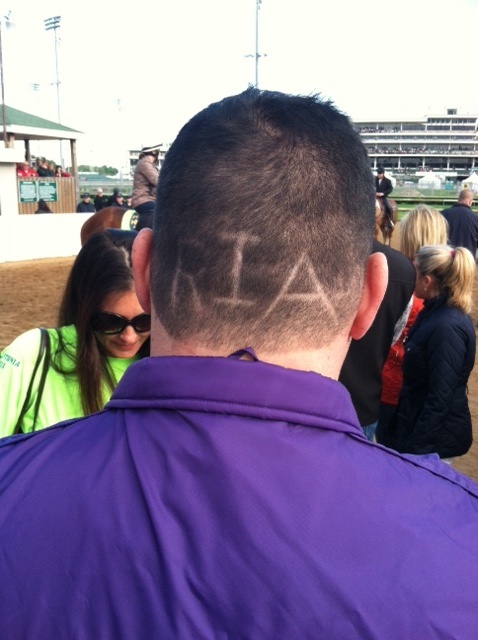 I), the 44-year-old native of Akron, Ohio revealed the word "Ria" shaved in the back of his head. "With her proving herself by winning the Breeders' Cup and running second in a grade I (Santa Anita Oaks), today is just about fun for me," said Paolucci, who will bring an entourage of around 50 people to the Run for the Lilies. "I'm just going to enjoy the day and I think she's going to put it on. I told (jockey) Mike Smith, 'In the turn for home, open her up and ask her for everything she's got, and let them catch her. If she gets in front, they won't catch her. He said, 'All right, boss; we'll do that.' So I'm looking forward to her opening up a lead on the turn, and then going on." Paolucci, who currently has more than 70 horses in training and topped the owner standings at Turfway Park for the first time this year, initially noticed Ria Antonia while handicapping claiming races at Woodbine last summer. "I saw a 2-year-old filly that was running in a stakes race against the boys (Swynford Stakes, finished fourth). I was like, 'What the heck is this trainer doing? But then I saw her come on the track and I was like, 'Wow.' She's a big, good-looking thing. "So I put her in my stable alert and followed her. I watched her race against the boys when she broke her maiden (by six lengths at Woodbine last July). She just accelerated away from them in Zenyatta-like fashion. But I kind of forgot about her until my agent that buys for me said, 'You've got to look at this filly. I said, 'What's her name? He said, 'Ria Antonia.' I said, 'I love that horse! I meant to call you about that horse to see if you could buy her.' So that's how it started." Paolucci privately acquired the daughter of Rockport Harbor after her third start, after which she ran fifth in the Frizette (gr. I), first via a disqualification in the BC Juvenile Fillies, fourth to 4-5 morning line Oaks favorite Untapable in the Rachel Alexandra Stakes (gr. III), and second to other Oaks contender Fashion Plate in the Santa Anita Oaks (gr. I). "(After the Breeders' Cup), a lot of people said she was a one-hit wonder and would never come back and run in another graded stakes, let alone win one," said Paolucci. 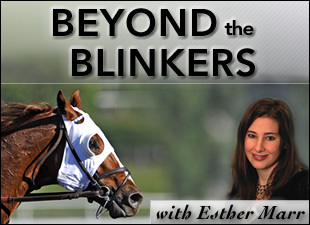 "So when she ran second in the Santa Anita Oaks, it was very gratifying. Even though she didn't win, it stamped her as being real because she was up against a tremendously slow pace and a speed-favoring track. She was four wide on the turn and fought the whole way. Now, after watching her train out here at Churchill, I think she's better than she was in the Breeders' Cup. She doesn't have to be, but she is." In the weeks leading up to the Breeders' Cup, Paolucci said he had an offer to buy an 8% share of She's a Tiger, who finished first, but was disqualified to second in the Breeders' Cup. "I told the guy that offered me, 'I wouldn't trade my filly for your filly. I love my filly. He said, 'Who is your filly?' and I said 'Ria Antonia.' He said, 'Who?' And I said, 'You may not know her now but you're going to know her later.' "
"That came out to be true. Seeing the confidence that (trainer) Bob (Baffert) has in Ria Antonia and knowing the heart that my filly has and the style she has going over this track, I wouldn't trade her for Untapable right now. I'm taking anything away from Untapable; she's a nice filly. But the bottom line is we raced against each other twice. We beat her by 32 lengths (in the BC Juvenile Fillies where Untapable was eased); she beat us by 14 lengths (in the Rachel Alexandra). And I did it on a big stage like today where there's going to be 100,000 people and my filly handles all that whereas Untapable gets a little more fiery. 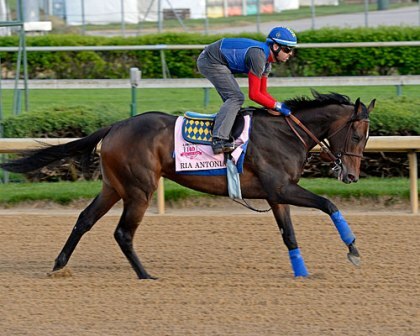 Nothing bothers my filly, including the horses that are going to be running in front of her today." With Paolucci's unwavering confidence in Ria Antonia, I may just have to put some money across the board on Ria Antonia. Will you wager on this filly? Who are some of your other favorites?